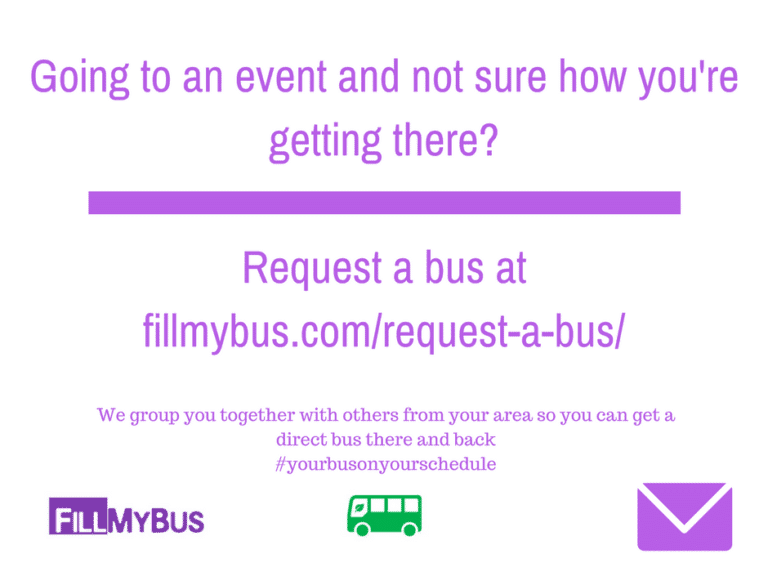 FillMyBus provides event and wedding transport by grouping people together and creating a direct bus service that didn't exist before. Request a bus and we will find others to make your group large enough so you can have a direct coach to any concert or sporting event. As the bus fills the price drops. 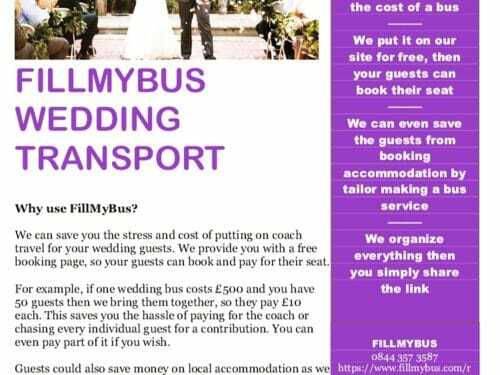 For Weddings, we can organise buses for your guests and give you a free booking page so that the guests can book and pay for their own seat saving on average £500 per bus. 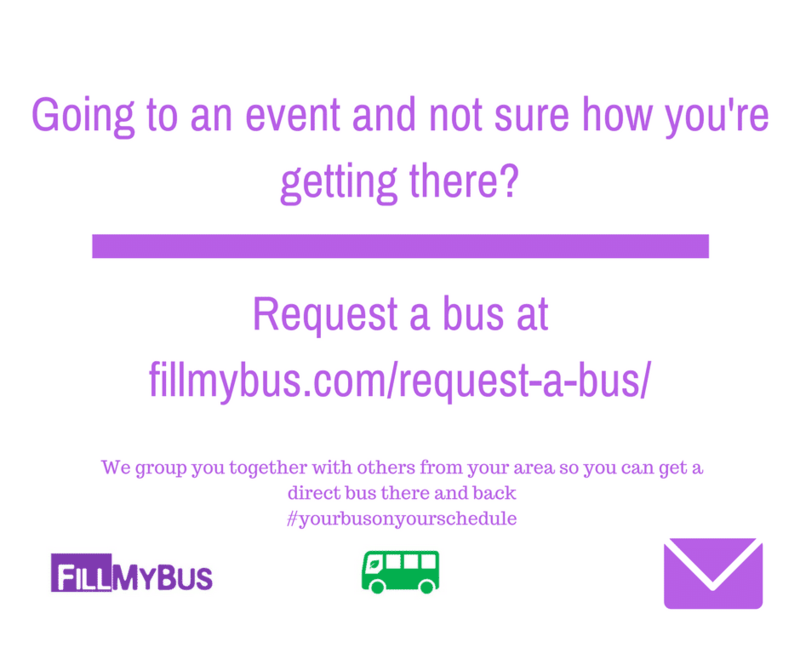 “FillMyBus is like car sharing but on a larger scale”. By connecting everyone in the same area who are attending the same event, this allows us to make transport as cheap and easy as possible. Don’t worry about running for a train or staying overnight in an expensive hotel just to attend a concert, we will organise a bus for you. Just “Request a bus” on the website and we will get to work. It’s free to ask so you have nothing to lose. 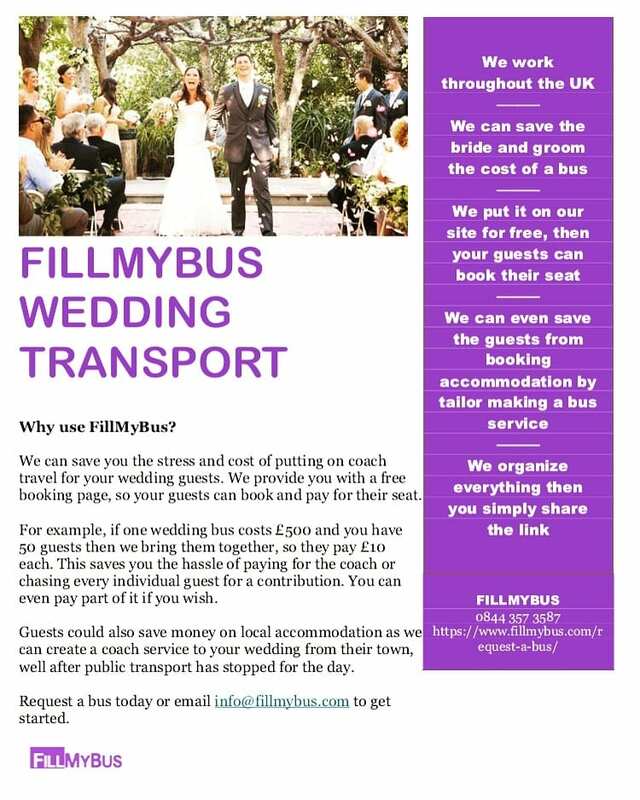 We are also the only company in Great Britain that gives bride and grooms a free page for their guests to book and pay for their bus transport. Guests can save on taxis or hotels while the bride and groom can contribute to the bus or pay nothing at all.